The sound of a Rickenbacker six-string is one of the most unforgettable, iconic tones in all of music. Simply put, their inimitable jangle makes music fans' heartstrings resonate. Now, they've put a brand-new spin on the classic chiming tones of yore by introducing the 330W. Though the 330W still has that old-school Rick magic in spades, it definitely presents a bold new take on the sound. It sounds both classic and fresh, and the combination is quite inspiring. Two things are responsible for the 330W's singular sound: its walnut body and its maple fretboard. Typical 330s are made with maple bodies, which results in a brighter, snappier tone with tight low end and bright highs. While walnut does produce bright, glassy trebles, its midrange is more present, and its low end is deeper. Furthermore, it produces more warm overtones. This makes for a punchy, woody, midrange-forward take on the classic Rickenbacker sound. Of course, the maple fretboard also makes a huge difference. Regular 330s come equipped with a bloodwood fretboard, which tends to have a bit more squeeze on the attack. By contrast, maple 'boards yield a percussive, articulate, immediate attack. So, the 330W is the snappiest Rickenbacker on the block! When mixed together, the sonic signatures of these two tonewoods make quite an intoxicating cocktail for the ear drums. The percussive, snappy attack gives way to a clear, woody, punchy sound with lots of warm, beautiful overtones. Still, you can hear the classic bell-like note bloom Ricks are known for, and there's enough treble bite to satisfy British Invasion traditionalists. 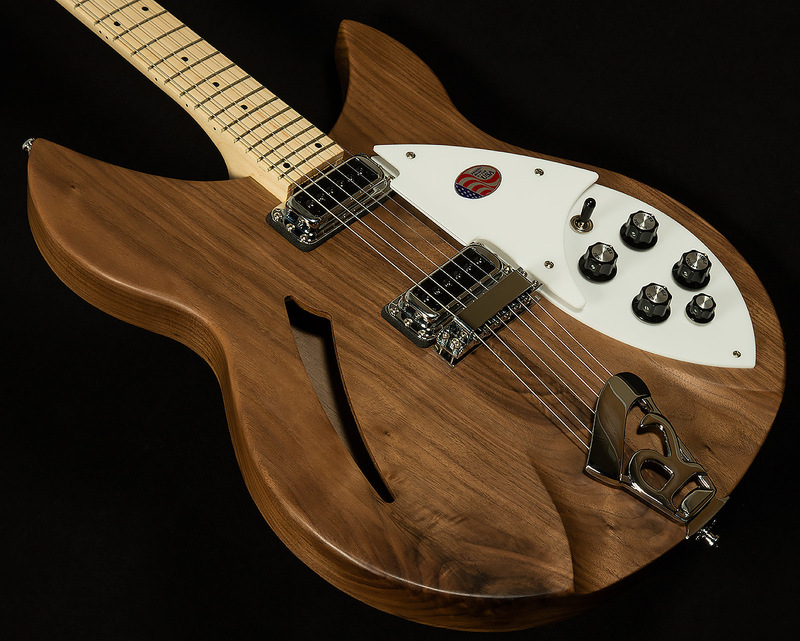 We are proud to showcase such a fresh, inspiring Rickenbacker for our exceptional customers. We're sure the singular sound of the 330W will resonate with you and inspire you to reach new heights on your fretboard journey.